Goldie Hawn had no idea she would become an icon in the creative arts industry while she was taking ballet and tap dance lessons. Many definitely remember her appearance in 1960s Rowan & Martin’s Laugh-In, the NBC comedy sketch which ran for several episodes before ending in 1973. Goldie Hawn is an actress, producer, and singer who although had a rough start stayed true to her dreams. Hawn, who was always inclined to arts, started out as a dancer. Her career experienced a boost when she ventured into acting and was labeled a comic actress. The iconic actress brought a unique approach to comedy and will never be forgotten for that. Goldie Hawn was born on November 21, 1945, in Washington to her parents; Laura and Edward Rutledge Hawn. It may have been a matter of heredity for the actress (who started dancing before she developed an interest in acting) as she had a band musician for a father and a dance school owner for a mother. Goldie started dancing at the age of three when she was enrolled in a dance class. Her dancing took her to the ‘Ballet Russe de Monte Carlo’ production of The Nutcracker in 1955. From being a dance school teacher, she became a professional dancer who performed in concerts. She was still a dancer when she got her first acting role, which was in the sitcom Good Morning, World aired on CBS in the ’60s. She also landed a minor role in The One and Only, Genuine, Original Family Band (1968) before her breakthrough which was in the show Rowan & Martin’s Laugh-In which she featured in for up to four years. Her appearance in the 1969 movie, Cactus Flower also aided her ascension. Goldie bagged an Academy Award for her role in the movie and gradually caught the attention of big screen stakeholders. She started getting more roles in comedies and dramas such as Shampoo (1975), The Girl from Petrovka (1974) and The Sugarland Express (1974). See Also: Melissa McCarthy Bio, Weight Loss, Husband, Kids, Net Worth, Is She Dead? The ’80s came with more promising endeavors for the actress who greeted the decade with Goldie and Liza Together, adding more accolades to her name. She was also cast in hit movies like; Best Friends (1982), Protocol (1984) and Wildcats (1986). Hawn greeted the ’90s with Bird on a Wire where she starred alongside Mel Gibson. She featured in other notable movies like; Robert Zemeckis’s Death Becomes Her (1992) where she starred alongside Meryl Streep and Bruce Willis; The First Wives Club (1996), featuring Bette Midler and Diane Keaton; and others. Goldie has achieved a lot over the years and has stayed relevant all through. The talented actress and producer sits on an enviable net worth of $60 million. 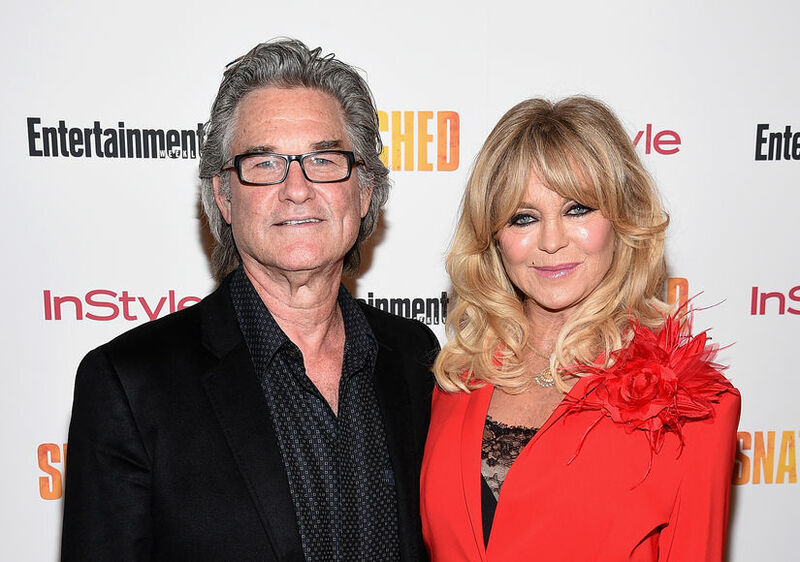 Goldie Hawn has her outstanding works in the movie industry to thank for her financial stability. She is not one who makes noise about her income but it is no news that the actress enjoys a luxury life with her partner, Kurt Russell. They both have luxury homes situated in different locations like Vancouver, British Columbia; Manhattan, New York; Brentwood and Palm Desert, California, and other locations. Goldie Hawn and her interesting personal life can hardly escape the prying eyes of the media as well as the public. The talented actress was first married in 1969 to Gus Trikonis, a dancer who later became a director. The two who dated for a few years got married in May that year but separated after four years in 1973; their divorce was finalized in 1976. Hawn then went ahead to date Ted Grossman and Franco Nero, an Italian actor before settling with Bill Hudson. She was said to be engaged to Hudson of Hudson Brothers in 1976 after her divorce with Gus was finalized. Hawn and Hudson got married that same year in Takoma Park, Maryland. Ther union produced two children; Oliver, their son who was born in 1976, and Kate, their daughter born in 1979. Like her previous marriage, Hawn and Hudson’s love lasted for four years; the couple filed for divorce in 1980 on some vague grounds. After the divorce was finalized in 1982, Goldie started another relationship with colleague Kurt Russell. According to reports, the two had met on the set of The One and Only, Genuine, Original Family Band. They have a son Wyatt (born in 1986) together. Goldie Hawn has got the entire public speculating that marriage may have been the bane of her previous relationships. This is because she has had the longest relationship with the actor without being married to him. The couple has been together since the 80s and has survived challenges of rumored separations, alleged unfaithfulness from both sides; and what have you. The unmarried couple who are so much in love celebrated their 35 years anniversary in 2018. For a reputable celebrity of her caliber, death hoaxes are expected. Goldie Hawn was rumored dead in 2017 but what actually was the case was that the actress was mourning the death of her best friend.